(especially in the presence of a disease). Therefore, values of AUCs after oral dosing may lead to incorrect conclusions. To use such a value properly, one must be certain that drug clearance is not different between or within a subject. In the ideal situation an intravenous dose would be given to establish the correctness of that assumption. Unfortunately, this is an approach that is not generally used. Elevated gastric pH is seen in subjects with achlorhydria, as a result of reduced acid secretion. The absorption of tetracycline, which is most soluble at acidic pH, appears to be unaffected by achlorhydria and after surgery where the acid-secreting portion of the stomach was removed (143,144). The absorption of clorazepate is expected to be reduced in achlorhydria (for the reasons discussed earlier), but as yet the data are not conclusive. The clinical significance of altered gut pH with regard to drug absorption is not clearly established. Alterations in drug absorption due to changes in gut pH will most likely be mediated by its influence on dissolution rate. Changes in gastric emptying are expected to influence the rate and possibly the extent of absorption, for the reasons discussed previously. Emptying may be severely hampered and absorption altered soon after gastric surgery as a result of pyloric stenosis and in the presence of various disease states. Riboflavin absorption is increased in hypothyroidism and reduced in hyperthyroidism, conditions that alter gastric-emptying and intestinal transit rates (145). Diarrheal conditions may decrease drug absorption as a result of reduced intestinal residence time. 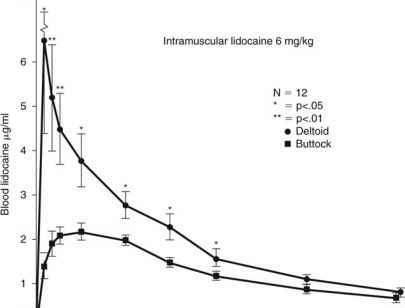 The absorption of several drugs was decreased in response to lactose- and saline-induced diarrhea (146). Digoxin absorption from tablets was impaired in one subject who developed chronic diarrhea as a result of X-ray treatment (147). Abdominal radiation or the underlying disease has been shown to reduce digoxin and clorazepate absorption (148). A dosage form that provides rapid drug dissolution (e.g., solution) may partially resolve this problem. Various malabsorption syndromes are known to influence the absorption of certain nutrients. Although not thoroughly investigated, such syndromes may exert an influence on the efficacy of drug absorption. Heizer et al. (149) have noted reduced absorption of digoxin in patients with sprue, malabsorption syndrome, and pancreatic insufficiency. The dosage form of digoxin, especially dissolution rate from tablets, will partially determine the influence of malabsorption states on absorption, the problem being compounded by poorly dissolving tablets. Phenoxymethyl penicillin absorption is reduced in patients with steatorrhea (150), and ampicillin and nalidixic acid absorption appears to be impaired in children with shigellosis (151). There are a variety of other disease states whose influence on drug absorption has been reported, including cystic fibrosis, villous atrophy, celiac disease, diverticulosis, and Crohn's disease. The results of these studies are frequently divergent, and therefore general statements cannot be made. A thorough discussion of these findings is beyond the scope of this chapter. As most drugs are best absorbed from the small intestine, any surgical procedure that removes a substantial portion of the small intestine is likely to influence absorption; however, and as discussed previously, the characteristics of the dosage form may affect the findings. Although the procedure has fallen out of favor, intestinal bypass surgery has been used in treatment of the morbidly obese. A number of studies have been conducted to examine absorption prior to and after surgery. As noted in the introduction to this section, care must be exercised in study design and evaluation of data, as large weight loss may alter drug elimination from the body compared with the presurgery condition. Further complications include the time that the study is conducted relative to the time of surgery, and the length and sections of the intestine removed. Reduced efficiency of drug absorption, however, is a likely outcome of surgical shortening of the GIT (152). One excellent study (153) employed intravenous and oral dosing at each of several times postsurgery (1-2 weeks, 6 and 12 months). This design permits valid conclusions about the absorption process. There was a significant reduction after surgery in ampicillin absorption but no change in propylthiouracil absorption. In those instances where a patient's response to a drug is less than expected and there is reason to believe that this is a result of impaired absorption due to any of the pathological conditions or disease states cited earlier, a first attempt in seeking to improve drug therapy is to optimize absorption from the GIT. To do this, a practical approach might well be to administer the drug in a form readily available for absorption. In most cases, if such a form is marketed or easily prepared, administration of a drug in solution will represent the best way to achieve maximal absorption, as this will eliminate the time for drug dissolution in the gut needed by solid oral dosage forms. When absorption cannot be sufficiently improved by use of a drug solution, alternative routes of administration must be considered (e.g., intramuscular).